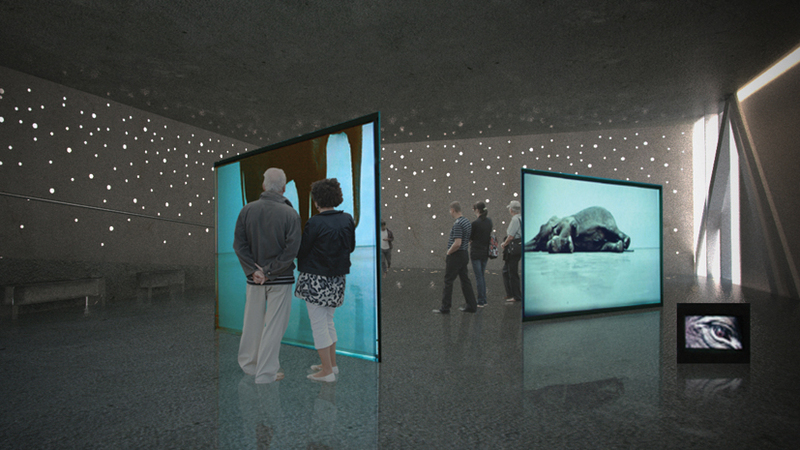 The main objectives of the proposal are to activate a visual and physical connection between the centre of Helsinki and the port area without obstructing the visual (and physical) relationship between the Tahititornin Park and the port and sea and to design a museum environment that would guarantee the maximum flexibility to visitors and curators, achieving the perfect balance in sizing and arrangement of the exhibition spaces. 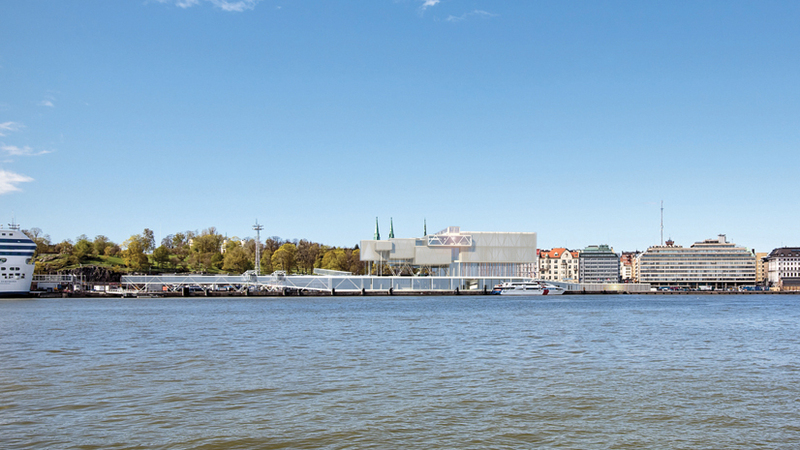 The plinth acts as a gradient between the urban environment and the facilities of the museum. 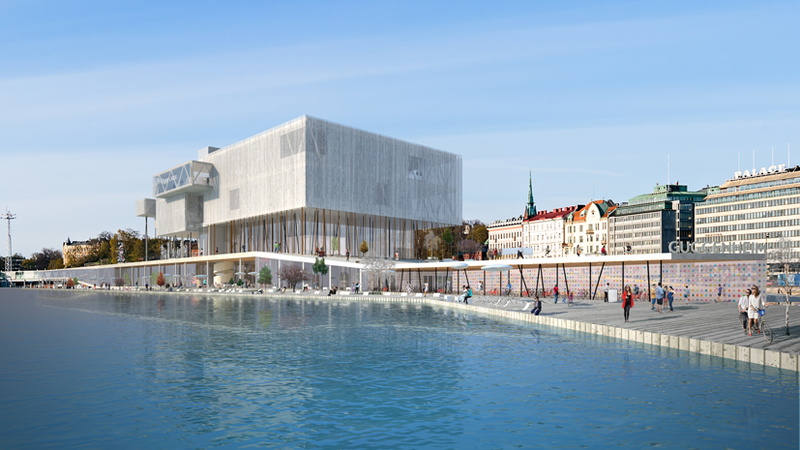 Coming from the city one passes the following sequence of spaces: a Multimedia Wall where visitors can have a preview of the museum activities and digitally interact with them; a large Finnish Art & Design Market with a sea view bar; the Museum Plaza - an ? 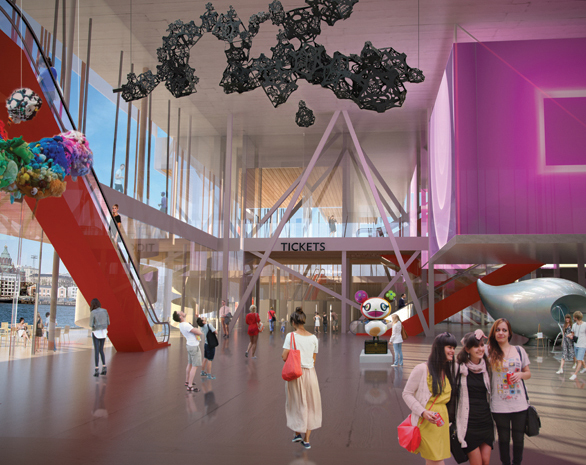 ?extensive public area for performances and large scale events with a suspended multifunctional Art Cube (a three-dimensional digital canvas and a space for more intimate performances); Visitor Services (ticket&information desk, lockers, a small bar, lounge, coat check, etc.) 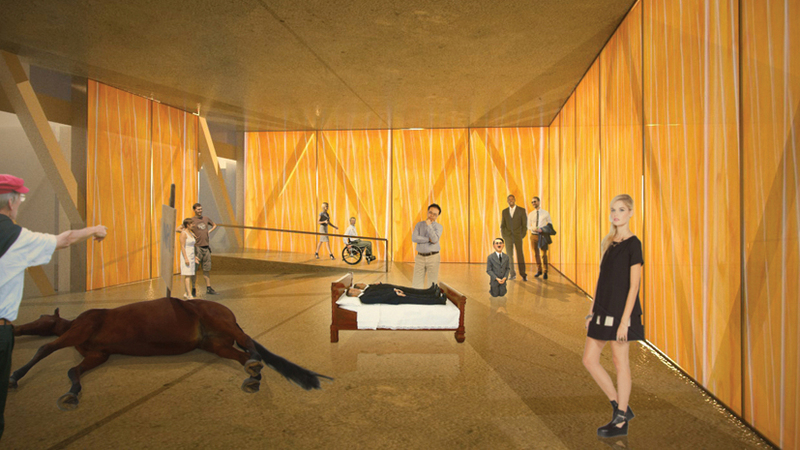 and the Black Box, preceded by a welcoming foyer. 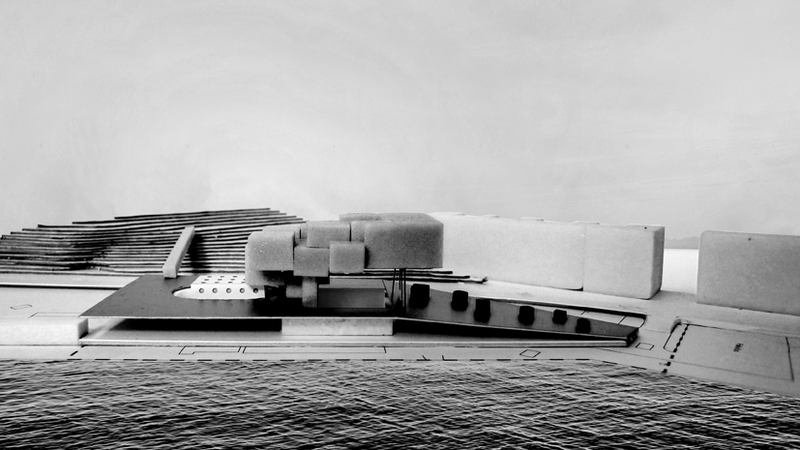 The roof of the plinth forms the Urban-Sea Stage, as it establishes a gently sloping transition between the city and the maritime terrace. 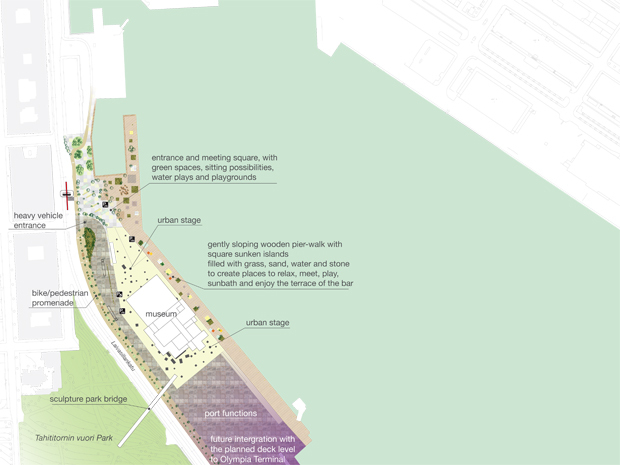 The platform then becomes the Sea Stage with a sculpture garden (the arrival point of the bridge from Tahititornin Park), an open-air stage and a romantic promenade with sea views. 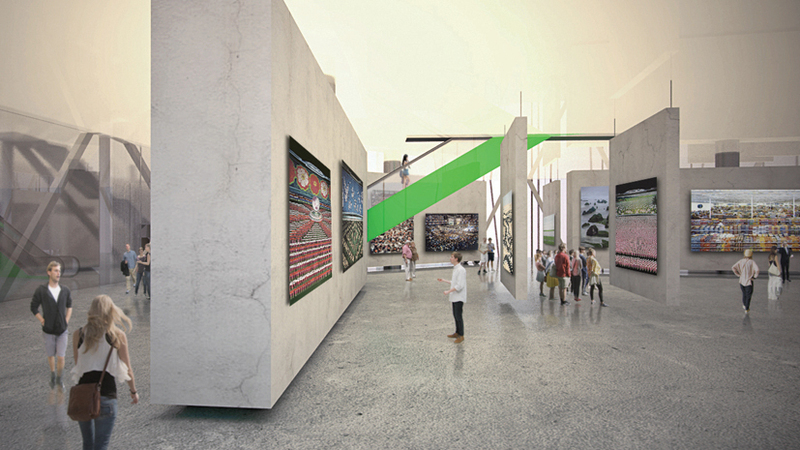 Above the plinth float the spaces of the museum. 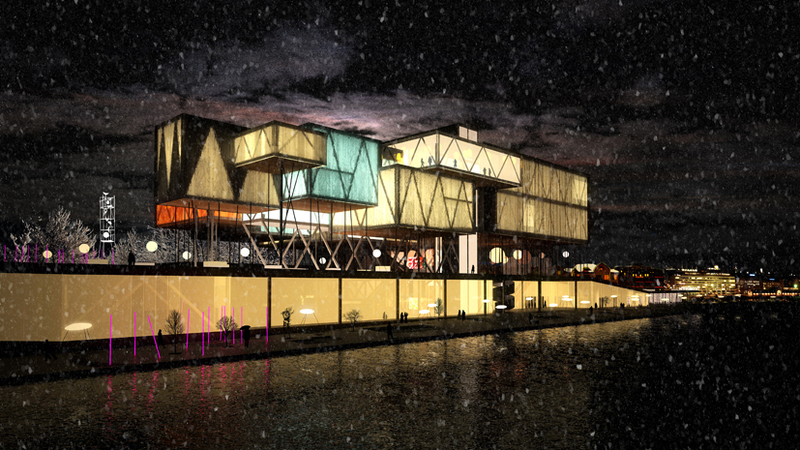 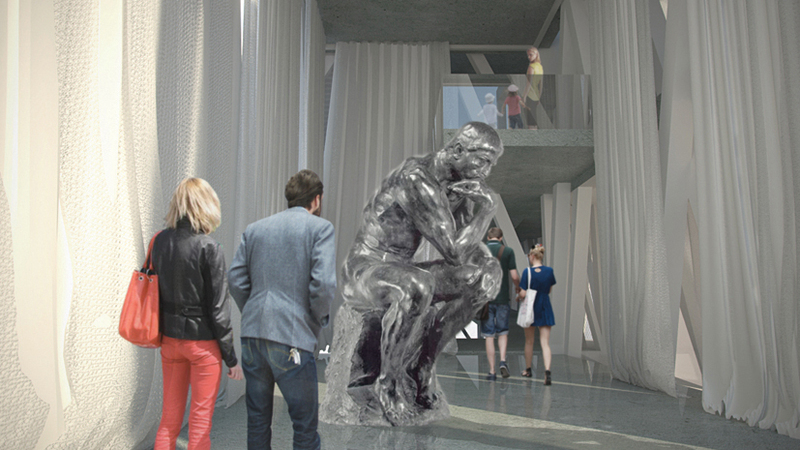 The basic idea is that of a box that covers the Museum Plaza below. 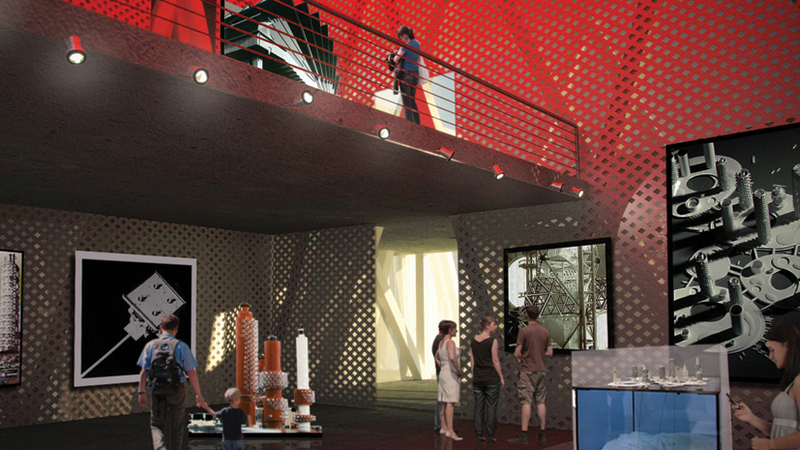 The question was, what could be the optimal size for a museum environment that gives the greatest flexibility? 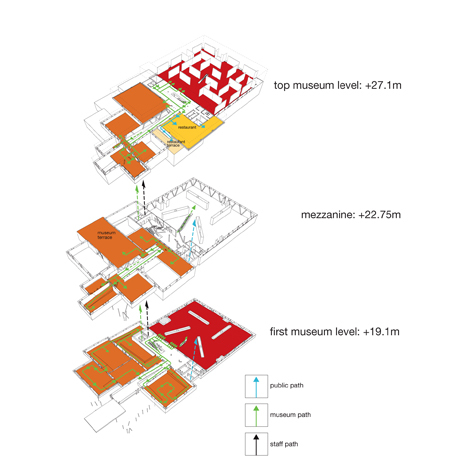 Instead of the more obvious choice, a large two-storey white box, the volume has been broken up: half of it remained an unique two-storey space, while the other half has been divided into volumes of different heights and sizes, aggregated in an apparently random composition and connected by a central ramp. 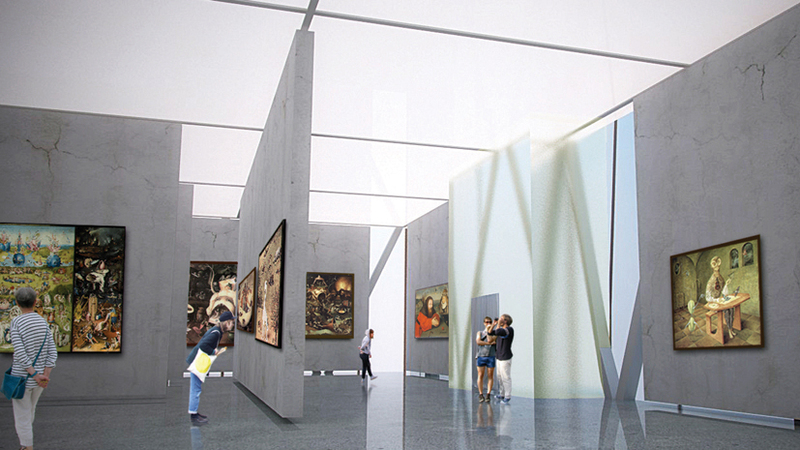 This operation proved surprisingly satisfying because it produced a variety of spaces, where rich plays of light and different paths lead visitors, offering views of the art works at different moments and from different angles as the spaces are accessible from different heights, creating an unparalleled museum experience. 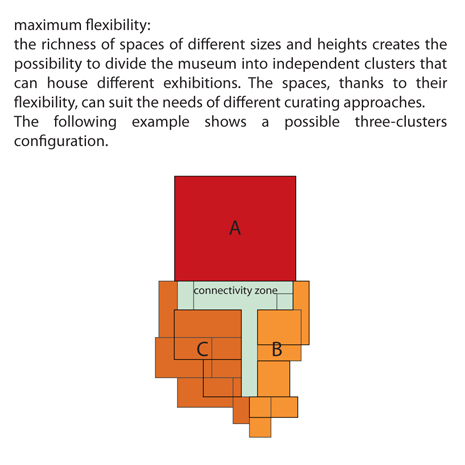 This solution also offers flexibility to curators: more exhibitions can be set-up at the same time, each in a different cluster of spaces, which can be completely independent or, if needed, interconnected with others. 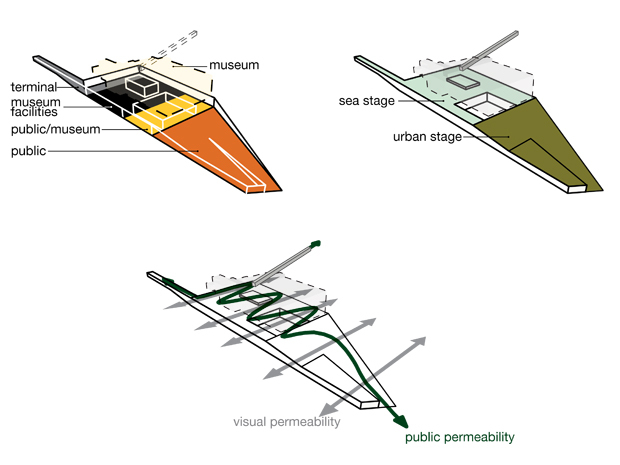 From an aesthetic point of view the dismemberment of the box, recalling transport containers and cranes, created a playful connection with the harbour character of the area. 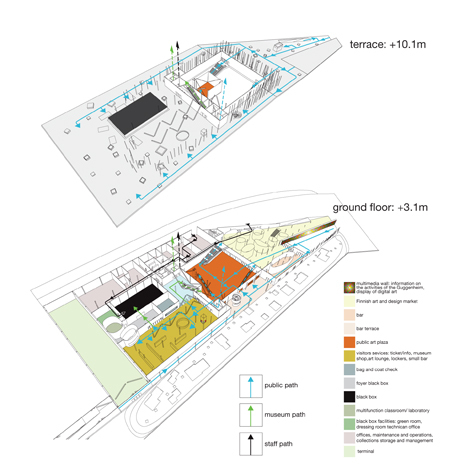 Sustainability considerations have guided the entire design process: from the orientation of the building, its structure, energy saving solutions, use of natural day-light, interior and exterior finishings, to the flexibility of use and accessibility.